A Success Story of National Acclaim Awaits Your Discovery. Fifteen Twenty-One Second Avenue has become a standout residential accomplishment on so many levels. Transformative architecture. Protected views of Elliott Bay. Generously proportioned residences (1,644 SF – 4,392 SF). Gracious interiors of exceptional standards. LEED “Silver” certified construction quality. Thoughtful amenities and conveniences. An enviable location adjacent The Pike Place Market. Established market values. It’s telling that a community design for the select few has become admired by so many. Tour today and experience why more than 100 discerning homebuyers and national judges alike continue to choose Fifteen Twenty-One Second Avenue. Q. What was your role in Fifteen Twenty-One Second Avenue? A. As the Director of the High-Rise/Urban Projects Design Studio at Weber Thompson, I orchestrated the architectural design of Fifteen Twenty-One Second Avenue, from concept to completion. Design at this scale is a real team effort. Bringing innovative concepts to market requires thoughtful collaboration of many talented people, at the same time that many disparate parts and pieces are in flux. In addition to the dedicated, seven-person design and technical team in my own office, we had over a dozen project consultants / collaborators that included MKA Structural Engineers and Susan Marinello Interiors to name just a couple of the primary contributors. Q. What was your vision for Fifteen Twenty-One Second Avenue, given your role? A. 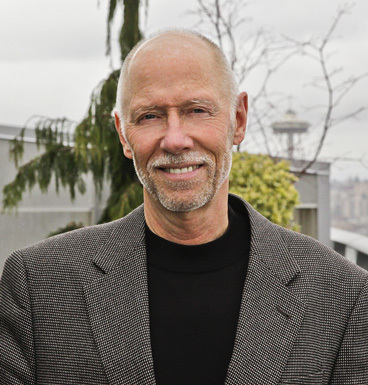 Our clients, OPUS NW, and the project visionary William Justen, were the real visionaries. They directed us to design a sophisticated high-rise residential tower with a real ‘Seattle sensibility’. Our clients wanted an elegant, yet understated tower design that would harmonize with its historical district location and that would also grace the Seattle skyline. To that end, my personal objective was to help create a building of its own time – an innovative, state-of-the art tower that would make a definitive design statement–but not too bold, because that is not what Seattle is about. 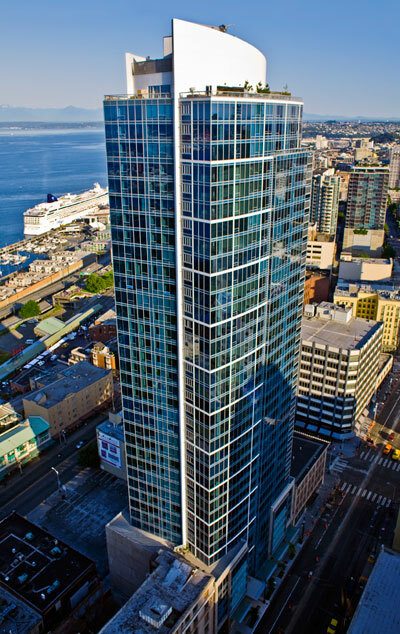 The playful, angular and curvilinear geometry, the faceted facades, and the bold sculptural elements of this tower are more than anything else, the result of strategically pushing and pulling on the facades in an effort to create great living units so each has stellar views of Elliott Bay. The result is a building that some have called "a sculpture for living". Q. How do you feel the product delivered on your original vision? A. Many words have been used by the press to describe this tower – ‘sleek’, ‘innovative’, and even ‘transformative’. Lawrence Cheek, Architectural Critic from the Seattle Post Intelligencer, calls Fifteen Twenty-One Second Avenue "a crisp, clean building... with magic pleats and ‘pop-outs’ – and with the balcony issue neatly resolved with indoor solariums”. The design team recognized that the imposition of 440’-0" tall tower into the fabric of a cherished and much smaller-scale historical district would require a delicate and sensitive insertion, and we wanted the tower to be a good neighbor. I think we achieved that with thoughtful design and careful sculpting. The fact that I was the first homeowner to move into the tower sums up my confidence in the project, and there are many good reasons that so many development stakeholders as well as other notable developers and real estate professionals, chose to live in this building. Q. What are the design decisions that you feel differentiates Fifteen Twenty-One Second Avenue from its peers? A.First, the decision to ensure excellent water views from every single unit in the project had a huge influence on the design, both inside and out. Secondly, the decision to avoid the usual exterior decks - which are rarely used in Seattle (thanks to our windy and rainy weather) - and instead, to integrate internal solariums with massive bi-fold windows, that open right at deck railing height. This was very significant. It allowed us to keep the tower very sleek and clean, while still affording homeowners with a connection to the outside, even in the most inclement weather! 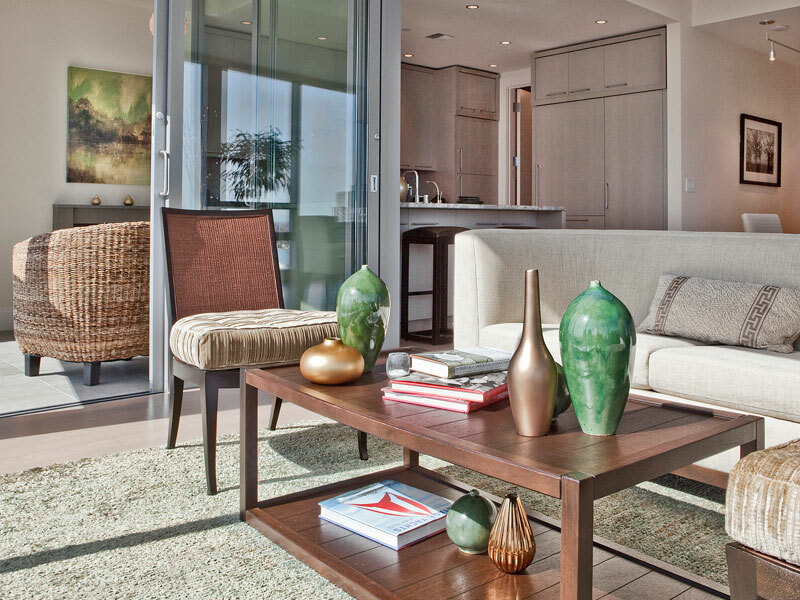 Third, the goal of creating a ‘penthouse feel’ in every one of the 143 units – this fostered generously-scaled living spaces that are unique in the West Coast market, and results in a similar investment and lifestyle expectation from the homeowners. Fourth is the concept of creating four uniquely sculpted elevations – every side of the tower is responsive to its own façade-specific context and outlook. 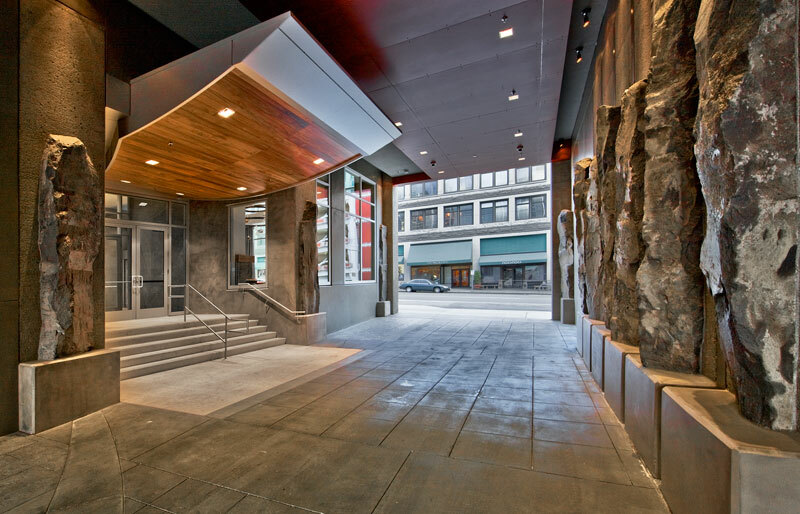 Lastly, the concourse at the street affords a hotel-like private zone off the street and out of the weather, and a degree of safety and privacy that is a real differentiator – there really is nothing like it in Seattle. Q. What is your favorite design attribute at Fifteen Twenty-One Second Avenue and why? A.Many tower projects are nothing more than big square boxes, with four identical sides. I love the expressive geometry of Fifteen Twenty-One with its four unique elevations. This gives the building a very dynamic quality, as different lighting and weather conditions interact with the sculpted and faceted facades. I am also pleased with the way that the massive scale of the building is broken down into smaller vertical elements that accentuate the tall and slender proportions of the tower, and too, how the tower takes its place comfortably into the skyline, almost like an exclamation point on the edge of the Market District. Q. What are the most meaningful homeowner benefits derived from your design decisions? A. Simple. 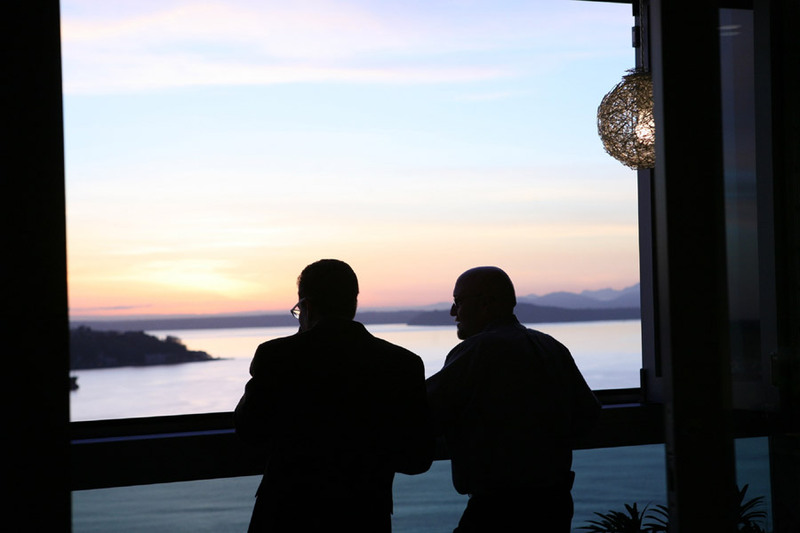 Every unit in the project has breath-taking views of Elliott Bay. People don’t believe this until they tour the project and see how this was done by pushing and pulling on the facades, in combination with some very creative geometry. Some of the units on the east façade enjoy both ‘Manhattan-quality’ views of the city at night, and stellar views of the Bay and our ‘working harbor’ by day. By designing the project thoughtfully from the inside-out, we were able to ensure a very high quality in the design of the units, while at the same time creating a tower that has received praise for its visually pleasing composition. We also spent considerable time studying ways to frame key views [like that of the Space Needle, for example] and locating the interior columns in such a way as to create minimal impact on the magnificent views from this once in a lifetime protected-view site. Q. Of all the design details that you programmed into Fifteen Twenty-One Second Avenue, name the most thoughtful (hidden) nuance that is easily missed by homebuyers but remains significant in your mind? A. There are a number of remarkable attributes that add value but are not readily apparent. 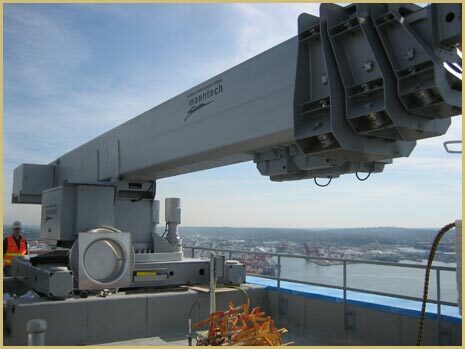 For example, the expansive, ‘see-forever’ views of this project are made possible by avoiding the "letter-boxing" effect that would result from an up-turned or down-turned perimeter-moment-frame beam that is normally be required at the perimeter of a tall tower like this one. By employing a sheer core with walls that are 36" thick, world-class structural engineers Magnusson Klemencic helped us to achieve a single-system lateral solution through peer review. 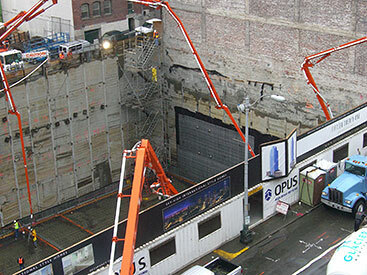 Fifteen Twenty-One Second Avenue is the very first 440’-0" tower on the West Coast to be approved without the need for a secondary or "dual" perimeter frame for lateral bracing. This was achieved with a very stout core in combination with full-floor steel trusses and a 22" thick structural transfer slab at the top of the podium, that we affectionately dubbed "The Nimitz". This tower is solid as a rock, and everything about it is first rate – even the things that you don’t see. Another example is the top notch, commercial-grade, floor-to-ceiling curtain wall with state of the art, high-performance glass. This is a system which is designed to last a lifetime and it is as functional as it is beautiful. Q. Which of your design attributes do you feel will most likely to be replicated in the future by other developments? A. If I could pick only one, it would probably be the feature that we get the most questions about – the solarium ‘Glass Rooms’, with railing height bi-fold doors that open up to the outdoors with the push of a finger. Most of these Glass Rooms have a fireplace, and can be used year-round, no matter what how frightful the weather outside. I can envision others trying to replicate this pioneering concept, which to my knowledge has only been done in one other project in Australia that inspired our design/development team. The beauty of these Glass Rooms is that the "terraces" in the individual units can be used in all seasons, and they become more valuable as –everyday– space rather than –fair weather– space you use once and a while. It is fascinating to see how different homeowners use these rooms. For some, it is a second dining area. For others, it is the perfect reading nook, or a painting studio – or a place for an intimate conversation. It is a remarkable flex-space, and the best part is that the bi-fold windows can be opened in seconds, to create an indoor-outdoor living space like no other. Q. Have you ever experienced another property that made you reflect back to Fifteen Twenty-One Second Avenue? A. The Millenium Tower condo project in the heart of San Francisco has some similar qualities – it is a fine project, but the perimeter moment frames and exterior terraces cut down on space and views (i.e. the "letterbox" effect mentioned earlier). I really don’t think there is another project on the West Coast that can compare to the quality and the value found in Fifteen Twenty One Second Avenue, particularly when you look at the craftsmanship of the detailing and the overall FF+E [finishes, fixtures + equipment]. Our clients set out with the stated goal to ensure that every unit would have a "penthouse feel" and I can say with confidence that the design and development team delivered on that promise – in a way that won’t be replicated for many years to come. Q. How would you describe the legacy of Fifteen Twenty-One Second Avenue twenty-five years from now? A. Judging from the very positive comments that I hear from other city dwellers and fellow homeowners, people in general do seem to like the way the tower responds to its neighborhood context and the skyline – that is a good feeling. Because Fifteen Twenty-One Second Avenue is true to its own time, and does not pretend to be of another era [and because the finishes are elegant and honest [not flashy or trendy] my prognostication is that this tower will continue to be appreciated as a timeless structure and a truly great place to live. It’s authentic, and its design is purely a product of delivering on an excellent vision. Q. What else would you like to share about your experience working with Fifteen Twenty-One Second Avenue? A. A great project does not happen without a thoughtful client with dedication for doing something special, an innovative and highly responsive design team, and great collaboration. This project had all of the above, the camaraderie and team work were exquisite, and Tom Parsons and William Justen were brought out the best in everyone, in an effort to achieve their great vision. It was a joy to be part of this team, and living here is the best reward of all. A. 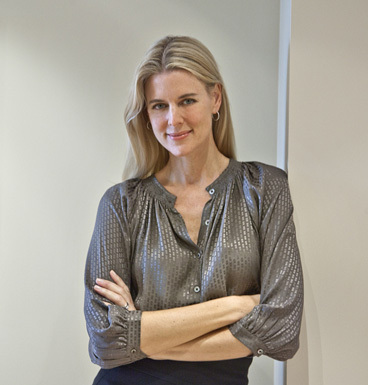 Lead Interior Designer responsible for the interior design of the public areas and the individual homes; the selection of all materials, finishes and design of all kitchens and bathrooms. I also participated in the floor plan designs and directed the custom cabinet schematics, which are unique to Fifteen Twenty-One Second Avenue. Q. What was your vision for Fifteen Twenty-One Second Avenue given your role? A. 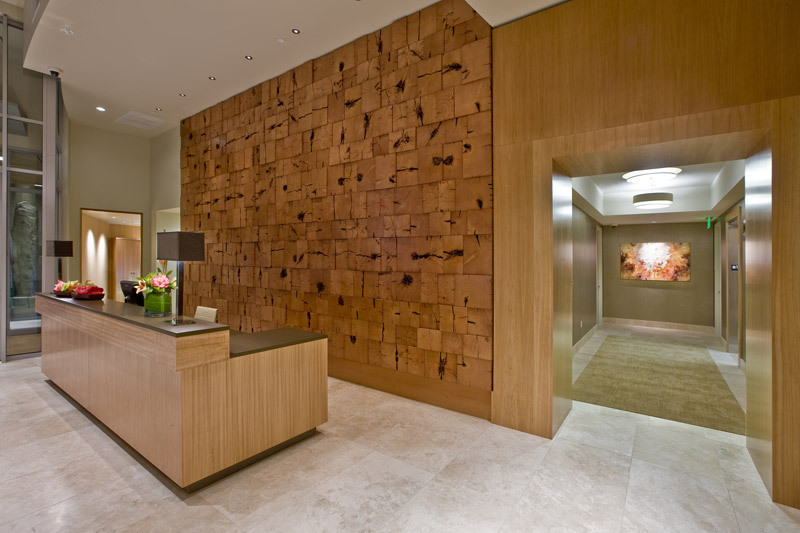 Our goal for this project was to create interiors that resonated as a product of the Pacific Northwest environment. These are interiors not just about physical comfort but also about visual comfort. I wanted interiors that complement and frame the views in such a cohesive way that the view is the primary element of every home. We sought to uniquely distinguish the homes by focusing on two ideas; “harmonious and seamless”. A. We delivered interiors that compliment and integrate with the regional elements important to the Northwest such as water, mountains, the quality of our diffused light….these all became defining elements of the interior design, creating harmony within the spaces and ultimately strong connections to the modernity of the tower and downtown location. Our primary goal was to not compete visually with the amazing views that were afforded by the floor-to-ceiling windows that envelope the homes. Rather than designing trendy kitchens that “shout”, our aesthetic is fully integrated and almost disappear into the Great Room living space. I feel the result is a balance between the indoor spaces and the dynamic outdoor elements. A. 1. Interior Design that compliments the view – and does not compete with the view. 2. Commitment to natural materials and color palettes that blend seamlessly with the views beyond – enhancing the spaces within. 3. Kitchens that integrate 100% into the great rooms with understated elegance. 4. 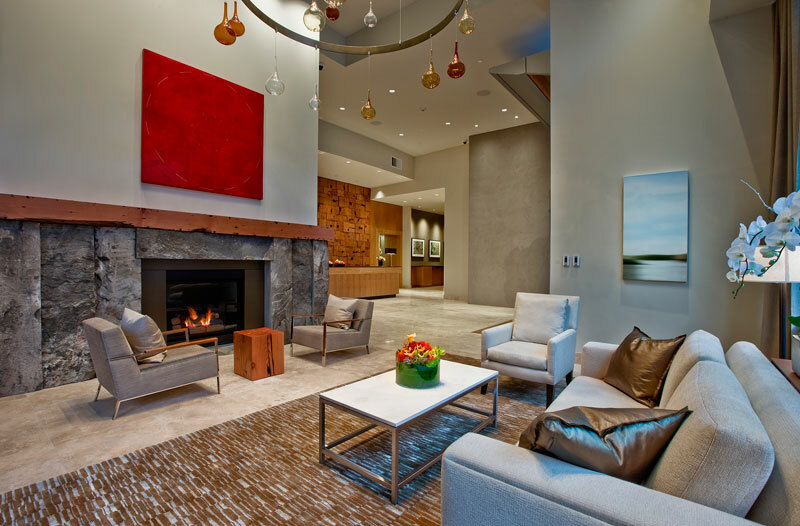 Lobby space that feels intimate, warm and welcoming – as if a private residence rather than a museum or commercial lobby. 5. Endless details……quality in the details evokes visual comfort – some so fine that you don’t notice them at all. A. There are too many to list. From a larger picture perspective, I am always impressed that such a modern glass tower with floor-to-ceiling glass could feel so warm and intimate inside, especially if it’s a cloudy day outside. Use of natural materials was essential, as was the thoughtful use of space. The colors and textures blend to make Fifteen Twenty-One Second Avenue feel complete and resolved. The interiors become the ultimate showcase for the residents and their possessions like a gallery for fine living. Q. What are the most meaningful home owner benefits derived from your design decisions? A. Color palettes and combinations of materials that compliment the views beyond. Kitchens that integrate into the Great Room by blending in - not showcasing themselves. Luxury baths that surround one with simple elegance….creating a full sense of serenity and well–being. What I hear the most from homeowners is this private retreat can exist in such harmony while being hundreds of feet above a dynamic city below – it’s the best of both worlds. A. My favorite is the screw-less cover plates on all switches and power outlets. Something so small like that illustrates the efforts our developer went to differentiate Fifteen Twenty-One Second Avenue from the production development more commonly found in the marketplace. A. I’d have to say the simple, natural color palettes and materials that seamlessly blend into the views beyond. Too often “design” tries too hard to differentiate and the environment then becomes about all the parts of the interior rather than the result. A. Yes, on several occasions while traveling, I have found myself applauding specific projects for how well resolved and in context the interior design was approached. A favorite project is the Setai in Miami Beach. From the moment you arrive, you feel at home and at peace. It is a true sanctuary. Another favorite project is the 110 Central Park South. Nothing is better than the Manhattan skyline overlooking Central Park – however, when I was up there, overlooking the buildings, I truly felt that our project and views of Seattle far surpassed those of NYC. Q. What ideas did you have that was value-engineered from the development and what effect did that have on the final product offering? A. Looking back, I’m please to say that virtually all of our design decisions were implemented balancing cost-benefit for our homebuyers. In the process of envisioning this community we wanted to offer the highest possible interiors package with the quality and functionality you’d expect from a premier, world-class property. A. I’m confident Fifteen Twenty-One Second Avenue will be referred to and thought of as timeless, classic and appropriate for living ‘graciously’ in downtown Seattle. It’s already iconic in the skyline and in the minds of those that have the opportunity to visit or live in the building. A. I’ve very proud to have been part of this community. The success of Fifteen Twenty-One Second Avenue is phenomenal. When a team of experts come together on a vision, remarkable results come about…… this is the legacy of this community. A. It was my idea to build this unique project at this particular location. In my role directing the Samis Land Company, we decided to sell this site, which included a parking lot and the former location of the Green Tortoise Hostel. We hired Weber Thompson Architects to provide a conceptual design (that I had in mind) for a condominium tower to understand the potential of the site. Armed with the design concept I interviewed several real estate development companies and was convinced that OPUS Northwest was the right choice for development of this critical site in downtown Seattle. From that point I worked closely with Tom Parsons of OPUS Northwest and the design, construction and marketing teams to perfect my vision. Through the design process, my wife Sandy and I decided to purchase a home in the building. A. Having developed and lived in many condominium developments I found it interesting that there was such a diverse profile of residents, in large part because the homes ranged in size from affordable studios to expensive penthouses. By default that meant expectations for the lifestyle, common area maintenance and management decisions would likely be different depending on the profile of the buyer and their expectations. I developed Market Place Tower at 1st Avenue and Lenora Street where the lower 13 stories of the tower are comprised of all commercial office space and above that are four additional stories comprised of seven large custom penthouses in which I was a resident for ten years. The dynamic in that community of likeminded people with similar investments was very different than in larger typical condominium towers. I witnessed a community flourish with record resale values – a product of supply and demand. I felt like the marketplace was ready for this caliber of development again on an even larger scale. Ultimately, Fifteen Twenty-One Second Avenue is the product of my experiences living in downtown Seattle for more than 30 years. A. The final product is even better than my original vision because of what the other project team members contributed during the design process. There were many healthy debates over floor plans, building systems, finish specification, amenity programming and the final unit mix. We also engaged the local real estate community and held countless focus group sessions with active homebuyers that helped test and validate our thought process. In that sense, we built what the market wanted but I think I’m most impressed with the rich sense of community that has developed since the construction was completed. I’m convinced that’s a product of attracting likeminded people that shared a vision, had a stake in its development and occupied the tower as a principal residence rather than purchasing for speculation. Fifteen Twenty-One Second Avenue is a vertical neighborhood and the relationships I’ve made here have enriched my lifestyle much more than I could have ever imagined all those years ago. Q. What are the top design decisions that you feel differentiates Fifteen Twenty-One Second Avenue from its peers? A. 1) The concept of developing all large homes, which average nearly 2,000 sq. ft. – that’s more than twice the average of typical condominium towers (where the approach is to distribute market risk between various stratospheres of the marketplace}. 2) We organized the floor plate and unit plans so that all homes enjoy protected water views – this was a remarkable accomplishment. 3) We invented the Glass Room for use year-round as an indoor/outdoor space within each home – I have observed over the years that balconies are seldom used (especially in our climate and at this height). 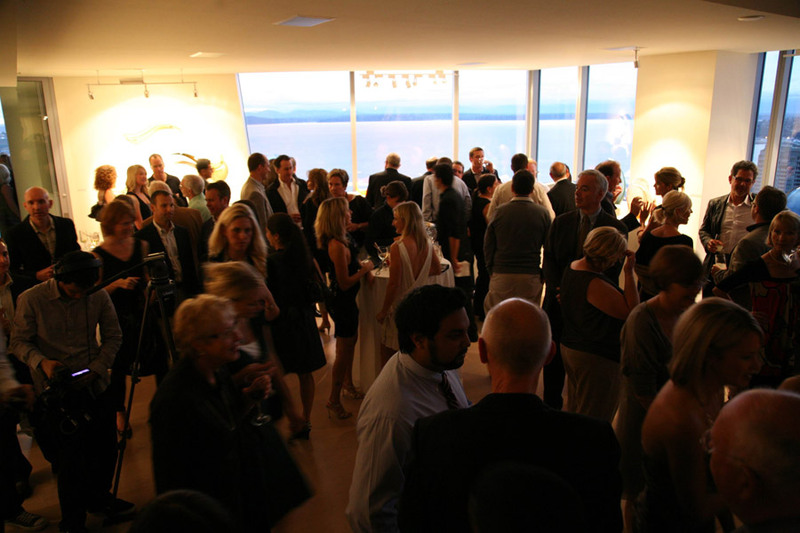 4) The right-sizing of the building amenities as we balanced the cost-benefit of certain amenities that are not often used for our demographic profile, especially if formal entertaining was possible within the homes themselves (for example, guest suites, movie rooms and party rooms). 5) The decision to specify the same high-level of interiors in every home with many standard features that are anything but standard (i.e. electronic blinds, jetted tubs, trash compactors and an extremely comfortable and efficient heating and air-conditioning system to name just a few). A. I’d have to say the total package. It’s the unique combination of so many differentiated design and lifestyle elements that create Fifteen Twenty-One Second Avenue’s quality and sense of community. Q.What are the most meaningful homeowner benefits derived from your design decisions? A. Based upon my experience in developing and living in several downtown homes, the homeowners benefit from a convenient and gracious lifestyle given numerous design concepts that are more evolved than more production-oriented developments. By example, every home at Fifteen Twenty-One Second Avenue has large great rooms with thoughtfully integrated kitchens for entertaining; eight-foot tall solid core interior doors; broader, five-foot wide entry hallways for exhibiting artwork; adult height countertops; air drying space in laundry rooms; ample storage in the homes, trash/recycle room serviced daily by “invisible” building staff on every floor, etc. In every situation we looked at the standard by which most high-end condominiums in North America were developed and then challenged every aspect of it to arrive at what we felt would be an improvement. In the end, residents benefit from the decisions of a very talented and experienced design team that were totally focused on delivering a new category for residential development in our city. A. There are many. We designed a hidden trash/recycle room on every floor, which is serviced by the building staff. We thought to include a hanging rod for air drying delicate clothes in the laundry rooms. We added the Franke Little Butler (instant hot water and filtered drinking water) in every kitchen as standard. We ergonomically designed the floor plans with an abundance of storage space in each home. Above all, we invested over one million dollars in an ultra-high-tech Mantec® window washing boom on the roof of the building so we could routinely and cost-effectively wash the all-glass façade of the tower – it’s very impressive to watch the system operate. This initial investment will save homeowners thousands of dollars each year in their operating budget and illustrates the decision-making process of the development team. A. I think the success of the Glass Room will cause other developers to reconsider cladding balconies on a tower – especially where this could add to the interior square footage for some of the smaller in-fill development sites in the city. As a counterbalance to this decision, Fifteen Twenty-One Second Avenue incorporated two expansive rooftop terraces providing everyone with a much more spacious outdoor living space and viewpoint. Many homeowners have remarked that this actually sparked new friendships as residents use the two Viking BBQ kitchens on the rooftop. In fact, the Home Owner’s Association recently voted to create an oversized outdoor dining room table on the east terrace overlooking the city so a dozen or more residents could dine together – it’s so great to see thoughtful amenities like this being enjoyed. A. I’ve been dreaming about this tower for a long time so I’ve been on the lookout for inspiration. For the past decade, I toured and studied the most premier condominium towers in Manhattan, San Francisco, San Diego, Vancouver, B.C. and throughout Europe. I discovered some good ideas and also learned from mistakes that were made, in my opinion. No one project stands out as being similar to Fifteen Twenty-One Second Avenue because it was influenced by so many different towers and personal experiences - I like to think of it as an assemblage of the best that I’ve seen in world-class cities around the globe. To borrow a page from a favorite author, Malcolm Gladwell, Fifteen Twenty-One Second Avenue is an “Outlier” development, which is evidenced by its phenomenal success. It benefited from the stars aligning from the right vision, the right team, the right site at the right time. A. When we went through the value engineering process, any alternatives that were selected were made because we felt it actually improved the product. I do not feel we compromised on the final product offering and since I was planning to buy a home and live in the tower I made sure of that. A. I feel the building will still be considered modern but timeless because of the clean sculptural building design and the finish quality but also because of the care and pride of the homeowners within the building. Its design aesthetic and brand doesn’t pretend to be from somewhere else – it is a reflection of Seattle. 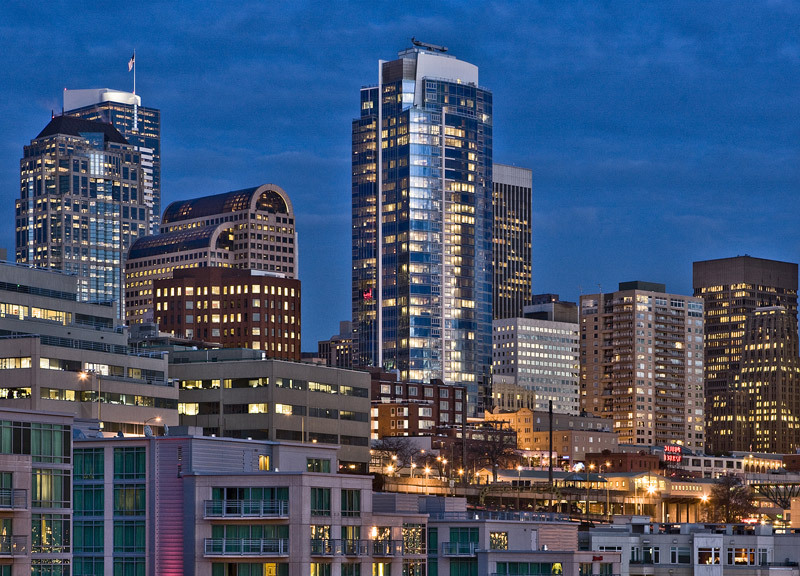 It will forever be a landmark development in Seattle’s skyline. A. My wife Sandy and I love living in this building. 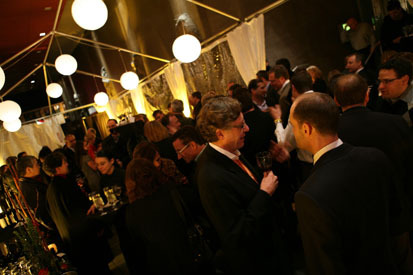 The greatest reward is the number of new and close friendships that we have developed with neighbors. From time to time homeowners approach me in the common areas and say “thank you – we love living here” and I return the acknowledgement because without so much support early on from homebuyers endorsing my vision, Fifteen Twenty-One Second Avenue would never have been realized. It’s a very special place and I consider it a privilege to call it home. Q. What is your role in Fifteen Twenty-One Second Avenue? A. I am the Senior Vice President of OPUS Northwest, the developer of Fifteen Twenty-One Second Avenue. In this capacity my role was to assemble the team to conceive, design and develop the property while bringing the equity and construction lender to the project. Now that the construction is complete and the construction loan has been repaid, my ongoing duties are focused on sales and marketing, warranty and maintenance matters, developing the retail space and managing the remaining inventory to sell. OPUS NWR, the developer and I are committed to stay involved through the substantial sellout of Fifteen Twenty-One Second Avenue. A. It began with an amazing development site adjacent to The Pike Place Market, which begged an inspired development given its substantial position in the skyline. At the same time, we wanted to be a good neighbor for the historic district in which we were developing. My goal was to develop a landmark property that would be broadly respected, successful and introduce a product category that was unique in the marketplace. We partnered with our concept visionary William Justen to substantiate his perception that the market was ready for an exclusive tower of all penthouse-style homes. We worked closely with the sales and marketing team to test these assumptions early on and quickly learned that we were developing exactly what the market wanted. In that sense, Fifteen Twenty-One Second Avenue could be considered a vision of the many homeowners that now live in the property. My role was to listen to, design around and facilitate a broad collective of design ideas from multiple sources. A. Right on target. I couldn’t be more proud of how our collective team assembled the inspiring design concepts and integrated so many market “firsts” into one development. Fifteen Twenty-One Second Avenue is truly a special community and illustrates that one plus one can equal three. Beyond the obvious design characteristics and market success of the project, I’m very impressed that our construction team delivered this cutting-edge tower on time and on budget. A. From a development perspective there are many attributes. The decision to build to a LEED (Leadership in Energy & Environmental Design) “Silver” certification brought with it many challenges but resulted in a earth-friendly tower that has a lighter footprint on the environment while representing considerable utility and operational savings for the Home Owner’s Association. We developed within a brand new zoning code, which was actually being written as we were designing the tower so in fact, Fifteen Twenty-One Second Avenue became the prototype for the City of Seattle’s “Center City Plan” to encourage more residential development in the city core. As part of this plan OPUS NWR and the homebuyers at Fifteen Twenty-One Second Avenue contributed more than $1.8 million to the affordable housing fund at the city and we raised another $25,000 for the Pike Place Market Foundation. A. I think Fifteen Twenty-One Second Avenue demonstrates that the private and public sector can work together on win-win initiatives allowing responsible development to occur within sensitive neighborhoods. Oftentimes developers are discouraged by the entitlement process, which can be very long, arduous and costly – especially if the vision involves challenging the status quo. 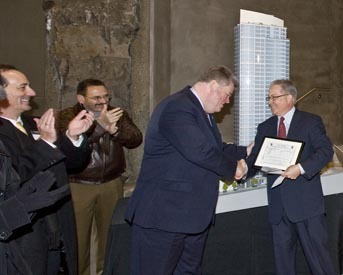 The fact that all stakeholders from the development team, city and neighborhood (as well as our homebuyers that became very involved in this process) stayed focused on the goal and collaborated successfully, resulted in an iconic development that now stands proudly high above The Pike Place Market. So the rezoning and entitlement approval process remains my favorite attribute because it’s a reminder of what is possible in this great city. A. I’d have to say the fact they are able to live so close to The Pike Place Market, which provides an amazing amenity next door but also serves as a historic landmark meaning that the views to the west are preserved forever. OPUS NWR also procured a prescriptive view easement over several other properties to protect the views of Elliott Bay from any future development on the block. This perpetual view is not only an asset that can be enjoyed every day but will no doubt endure into the future as a primary differentiator for the project’s resale value. It’s like having urban waterfront. A. The design of our garage and Porte Cochere enables easy access to and from the building, whether on foot or by car. Firstly, our central location means owners and their guests can walk virtually anywhere but when they do drive, they’ll enjoy a quick, efficient parking garage that was very carefully designed into this mid-block location. We were able to secure an exception with the City of Seattle to have a curb cut on 2nd Avenue, which is accessed by a Porte Cochere than runs under the tower and connects News Lane (the alley) to 2nd Avenue. This makes coming and going much more efficient in this very dense neighborhood. Also, our parking garage is split above and below grade with separate gates so it can load and unload twice as fast and with only 143 homes there’s never any traffic congestion within the building. There are buildings downtown more than twice the size with three times the population but share one garage, sometimes resulting in a rush-hour of sorts within the building itself. Not at Fifteen Twenty-One Second Avenue. In fact, our parking garage is light and bright and boasts immediate access to storage lockers and even private work studios – it’s artfully integrated into the community. A. The “tall and skinny” development approach utilizing new zoning that Fifteen Twenty-One Second Avenue helped to underwrite. This format enables development on smaller, more prized sites within the urban core, creates greater exclusivity with fewer homes per floor and most importantly, positions the homes higher enabling improved views. It also requires tower spacing, which means better light and view corridors. A. As Fifteen Twenty-One Second Avenue was in the development and construction process I found myself constantly comparing decisions we were making to buildings I was able to tour in other markets. The opportunity to see high-rise residential buildings in Chicago and San Francisco made me realize how truly exceptional our views really are, and how important it was to execute an interior design theme that celebrated the external environment equally with the interior of each home. A. Interestingly, Fifteen Twenty-One Second Avenue was originally conceived as having 245+ homes built with floor plates of seven homes per floor versus the final design of just three to five homes per floor. As we were testing the design ideas in focus groups the demand for larger homes had the effect of lowering the larger home plates within the tower. Ultimately, the sub-penthouse floor plate of five homes per floor occupied levels 7 through 29 and even larger homes were programmed from levels 30 through 38. While this wasn’t a value engineering per say, it did create greater efficiencies for developing a more uniform tower and the reduced unit count had benefits for fewer parking stalls and other efficiencies. This decision also created a unique community of homebuyers that had similar investments in their homes and consistent expectations for their lifestyle. A. Looking within, I’m confident that Fifteen Twenty-One Second Avenue will be regarded as one of the most pivotal residential developments in downtown Seattle’s history – it represents evolution on so many levels. Our design and development team has been invited to host workshops at the University of Washington’s Department of Real Estate to study the “making of the tower” – a behind the scenes presentation of the design and development process from conception to completion. At the same time looking out, we hope the many contributions of the tower towards the City of Seattle’s affordable housing program, gifts to the Pike Place Market Foundation, an increased property tax base (up tenfold) and the integration of several hundred affluent consumers in the neighborhood will be viewed as a very positive contribution to the local economy and to the culture of downtown Seattle. A. A development on the scale of Fifteen Twenty-One Second Avenue requires an exceptional team, and collaboration with the city in which the project is being built. Many of the elements of the project you see today reflect a blending of the best ideas of a group of very talented people all focused on one vision of excellence. The initial vision must be shared by the entire team, which includes the three hundred and fifty construction workers that were involved in the step–by-step development of the building. There are literally thousands of details that must be addressed over the many years that it takes to bring life to a community of this magnitude. One is rarely fortunate to be able to say, “I will probably never work on a project of that magnitude again.”. The experience I gained from working on Fifteen Twenty-One Second Avenue and with this exceptional team places me in the category of the very fortunate. A. Building Manager and Chef Concierge. I’m responsible for the operations of the Home Owner’s Association and managing the staffing and extensive services offered at the Concierge Desk. A. Since the moment that I met the other members of the development and management team I knew I shared a collective vision of true caretaking – both in terms of the building itself and the lifestyle that it serves our homeowners. Fifteen Twenty-one Second Avenue is a phenomenal living structure full of people who appreciate the vision with which it was built and who would like to build upon into the future. All of the owners seem to have purchased their home with a “vision” of their own, the way that they live it and they seem to be thriving off the energy that they draw from being a member of the Fifteen Twenty-one Second Avenue community. A. This community is growing every day. We have new ideas that evolve from the desires of the homeowners, new initiatives that come from the very creative staff, and new opportunities for maximizing efficiency of the sophisticated systems presented by vendors. The entire environment is healthy and in harmony. A. Investment in a high functioning web based management tool that provides excellent accountability, reliable communication, and allows for all information to be at the fingertips of all staff and the owners any time. We have committed to educating owners about the building systems in such a way that they are aware of the impact of their actions within their own home, on their neighbors or the entire building. The conscientiousness of the users of every home will prevent damage to the building and allow for even greater efficiency over time. 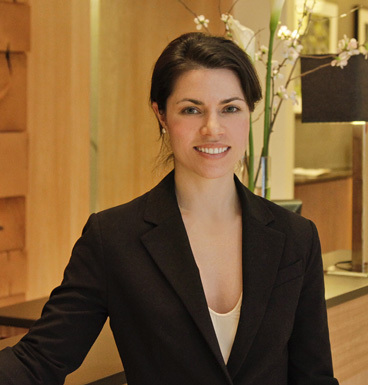 We have a 24-hour Concierge program. Our building has incorporated a window-washing system allowing us to efficiently clean and maintain the exterior of our all-glass tower. Not only does this keep our “sculpture for living”, a sparkling addition to our skyline but we’re able to quickly address any maintenance items that may occur. Lastly, our refuse and recycling rooms that are located on each floor encourages homeowners to recycle because it’s convenient. 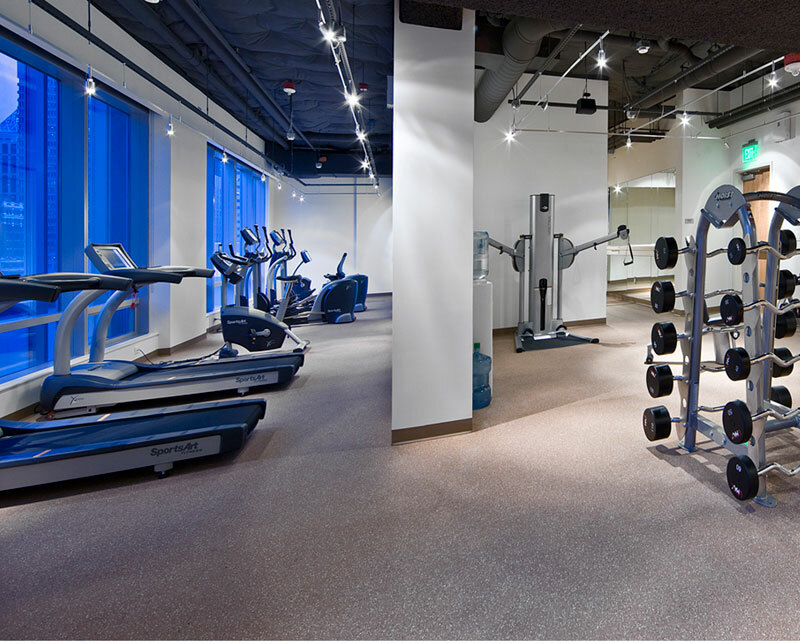 Our staff will remove the contents and clean the rooms on a routine basis using a dedicated elevator. A. 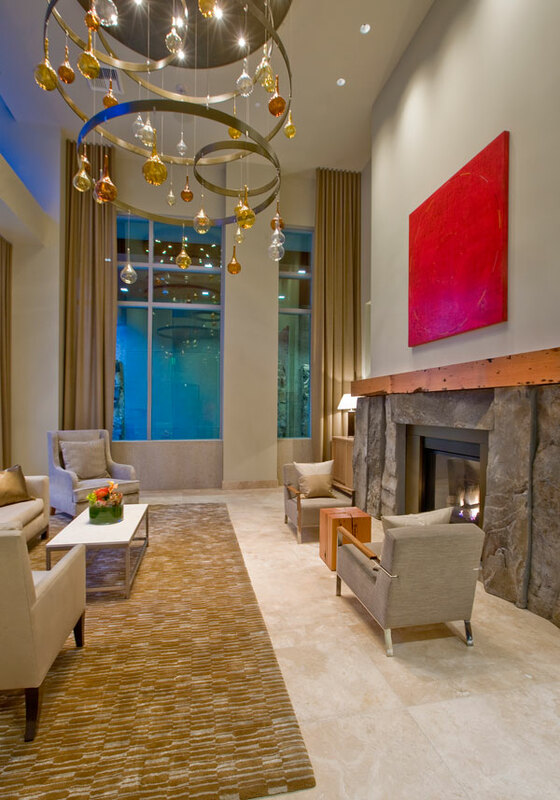 Our beautiful lobby. It's a true circulator and a gracious meeting place for owners to connect whether that’s to convene before heading out on the town or impromptu gatherings that take place because our homeowners have so much in common. There’s an excitement here that’s so rewarding – I like to improve our resident's lifestyle wherever I can. A. Based upon the feedback I receive from homeowners, peace of mind, excitement for “city life”, community participation and preservation of property values. A.I think of the "Water Cop" - an electronic device that was installed in every home that detects if there are any water leaks from plumbing or appliances so it can be repaird quickly before doing any damage to the tower. A. I think our digital communication system is a model for the future. It’s the intention to communicate in a timely, honest and consistent way with the owners of a building so that they feel empowered to care for their asset and participate in a community with their neighbors. In my experience, challenges that occur within Home Owners Associations are most commonly a result of failed communications or the inability to set expectations consistently within the community. I attribute the harmony we have at Fifteen Twenty-One Second Avenue to our ability to communicate. A. Prior to taking the position at Fifteen Twenty-One I managed a portfolio of seven condominium buildings. All of them had their own unique DNA, if you will, but Fifteen Twenty-One has the most beautiful code of all. It is hard not to fall in love with it and be proud of its evolution as a community. A. I can’t think of any – the developer and the Home Owners Association Board of Directors has been very willing to implement decisions as necessary to improve the quality of life in the building and maintain the long term. A. I am really excited to see what kind of community is created. I feel like all of the owners at Fifteen Twenty-One Second Avenue are really thriving in this environment. I see the building itself being more efficient and smooth running with a few more years. I have no doubt that Fifteen Twenty-One Second Avenue will be regarded as the most sought-after and well-run condominium in the city. A. I think its material that the reserves are fully funded and the developer, OPUS NWR has taken such an active role in the community post closing - it's a true partnership. A. I am the preferred lender and as such, I’ve had the privilege to provide prequalification and financing solutions for many of the homeowners at Fifteen Twenty-One Second Avenue. Through the process of researching the building, I became so impressed with the property and the lifestyle that it provides that my wife and I purchased, and now live in the building ourselves. A. 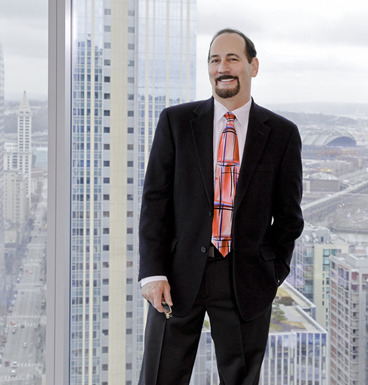 We knew early on that the project was going to create a new category of condominiums in downtown Seattle as there really wasn’t a comparable property such as Fifteen Twenty-One Second Avenue with all larger homes. We needed to address the risk of extending jumbo mortgages and higher market values assumed by the mortgage carrier, which was only possible if we could demonstrate market demand and price stabilization. As such, we embarked on a presale campaign with the sales team to identify a sufficient number of sales with qualified homebuyers as their principal residence before attempting to close the first sale. We also needed to offer jumbo mortgage products that would be attractive to our homebuyers at a time when there were significant guideline changes occurring within the lending industry. A. We were very successful in generating both presales and solidifying market values for the project. The project began closing units in phases, which helped create market value comparisons within the property rather than relying solely on the surrounding marketplace. 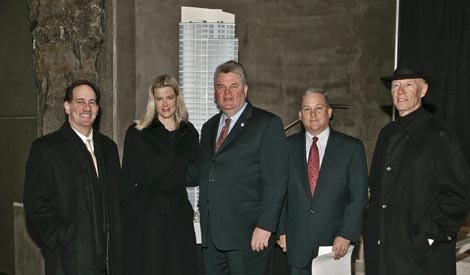 In that sense, Fifteen Twenty-One Second Avenue occupies a unique market position in that it has attracted more home sales over $1 million than all the other new construction condominiums combined during the past development cycle. This has helped to establish confidence in both the consumer to purchase and appraisers to provide attractive mortgage products for the building. A. 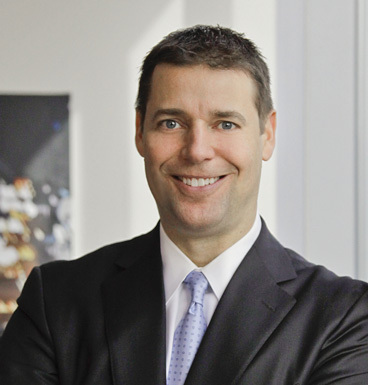 From a lending perspective there are several notable decisions that affected the product offering and helped to differentiate Fifteen Twenty-One Second Avenue from its peers. Firstly, the development team imposed an occupancy addendum early on, which effectively required homebuyers to not “flip” their homes for a period of time or the capital gains would need to be shared with the developer. This bold decision was not designed to be an additional profit generator for the developer rather it was designed to specifically discourage speculative buyers that were becoming a significant part of the presale condo market in downtown Seattle. As a result, the substantial majority of the homebuyers purchased with the intent of occupying as their principal residence or as a legitimate second home and that’s greatly reduced the number of resales in the building, and helped to maintain property values. Secondly, our company was required to prequalify all homebuyers (even if they were purchasing with cash or elected to use an alternate lender) in order to provide the developer with confidence that the buyers were financially capable of purchasing. Lastly, the development team had established a very balanced pricing and release strategy so every home had an appropriate price based on surrounding homes. These decisions helped to program quality homebuyers that were buying for the right reasons, limit resales and create enduring value for homebuyers. A. I think the uniformity of the product offering, being that all homes are effectively the same quality and differentiate only by orientation and elevation has helped create a unique microclimate for luxury real estate within Fifteen Twenty-One Second Avenue. A. Without a doubt, current and prospective homeowners enjoy a greater level of confidence that the market values in the building are established. I feel the downtown condo market has largely corrected, the building is now more than 75% sold, the construction loan is paid off and new sales are continuing to take place. These conditions bode well for the project and help lenders feel confident in providing attractive mortgages in the building. A. Looking back, I think the conscious decision to limit the amount of speculation created a stronger community, has limited resales and supported market values today. A. I think it could be a while before we see another presale campaign like Fifteen Twenty-One Second Avenue but the highly responsible manner in which the homes were priced, released and closed provides a great model for the next development cycle. 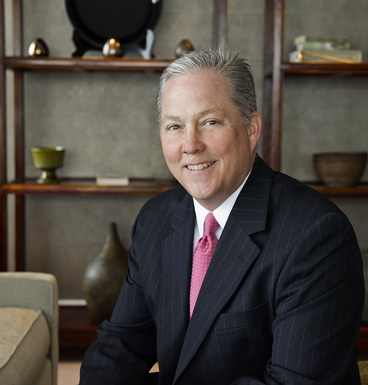 A. We’ve been the preferred lender on many condominium projects and they are each unique in their lending nuance, but Fifteen Twenty-One Second Avenue is in a category of its own in terms of product design and market values. A. Likely the decision to limit speculators. Had we accepted all the interest that was present supply and demand would have forced presale pricing even higher while at the same time the success rate in closing would have been lower. As I look over the challenges that the market faced in the last two years I can’t help but think Fifteen Twenty-One Second Avenue avoided the massive presale fallout and erosion of property values that other buildings are trying to recover from. A. In my experience, how a project performs in presales and its initial occupancy within the market leaves a lasting impression on consumers, real estate agents, appraisers and lenders. The market success of Fifteen Twenty-One Second Avenue will no doubt influence its legacy into the future and it’ll always be considered among the most premier residential towers in the city. A. I was so impressed with the entire project that my wife Megan and I purchased a home at Fifteen Twenty-One Second Avenue. We thought we’d try living downtown for a few years while we have the opportunity. Seller reserves the right to change the product offering without notice. Renderings, views and floor plans are approximate.